Moving is exciting. And exhausting. There is a whole lot to do. Packing and unpacking, emptying and reloading cabinets and drawer. You may even be painting and remodeling. Every day, I meet people who are immersed in the moving process as they are signing closing documents. They usually have their heads and hands full of things to do. But there are a few more items I want to tell them to take care of before they finish unpacking. 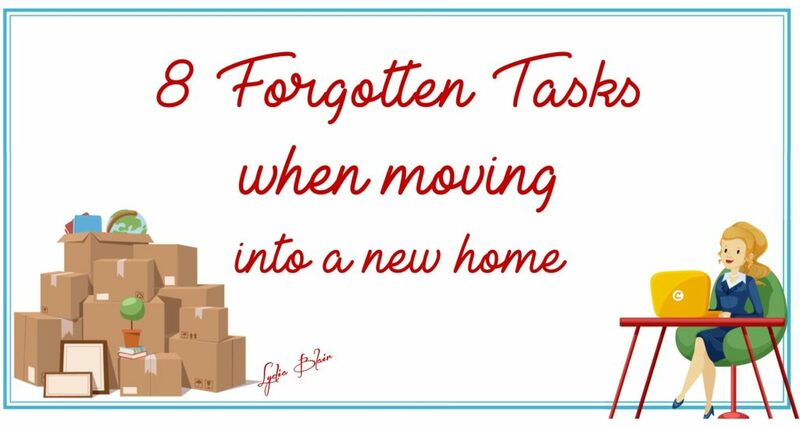 I’ve moved more than 20 times, including eight home remodels, which helped me come up with a list of eight essential tasks that you may not think about when moving. Make it a goal to complete these in the first couple of days of your move. Tackle these eight items first. If you’re overwhelmed, hand this list to someone who loves you and ask them to assist.